I went to see this film in a Pathe theater in Amsterdam. I like going to the cinema in other other countries because film is appreciates all over the world. The film was in English but have Dutch subtitles. I don’t get easily phased by subtitles but I know some people hate them and avoid films with subtitles at all costs. A Monster Calls was nominated in several categories at the GOYA’s and Critics Choice Awards. This film is about a young boy who lives with his mother battling with cancer. Unlike other cancer stories this is based on the boy who is looking after his mother rather than the cancer bearer. This is not a kids film. It looks like a kids films from the trailer but it is not for children! The story follows the young boy as he seeks help from a Tree Monster during his hard times with his mother. The tree monster who looks scary at first gives the boys much needed guidance and support in his time of need. The Tree Monster has an uncanny resemblance to Groot from The Guardians of the Galaxy. It is a truly hard-breaking story as the boy struggles through day to day with different elements surrounding his mothers illness. Anyone who has unfortunately experienced a close relative going through cancer will understand how hard it is on your family too. The young boy Conor, is played by Lewis MacDougall. His performance in this movie was completely moving and extraordinary for such a young boy to understand so much emotion for this character. His pain and anger in this movie blew me away and made me cry…a lot! Liam Neeson plays the tree monster with his very recognizable voice. He gives excellent delivery of his dialog and his character which is somewhat frightening at times, has a moving presence in this boys life. I couldn’t imagine any other actor having the same effect of this character as Liam Neeson brought to the Tree Monster. As someone who has lost several members of their family to cancer, I found this movie very hard to watch. This is because the movie was from the family members prospective which I have been in the exact same shoes more times than I’d care to admit. The truth of the 4th story is 100% fact, without giving it away. It’s unbearable to watch a family member go through so much pain and the film is a true testament to how a family supports each other through very dark times. The movie is a heartbreaking piece of work and very moving. Brace yourself and bring your tissues. I rate A Monster Calls 7/10! 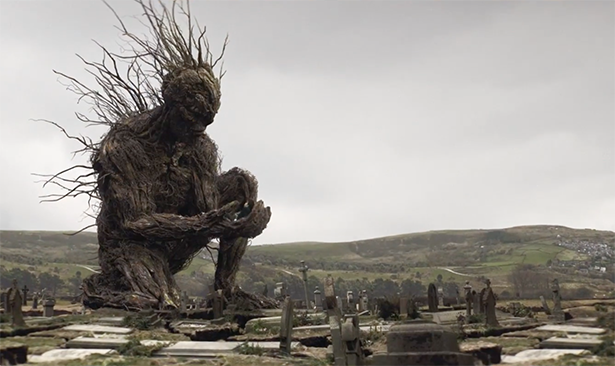 A Monster Calls is in cinemas NOW!